This post is part of a series of posts designed to address the common topics brought by a frequent commentator to my blog named Thordaddy. Please see this post for an introduction to this series. Thordaddy claims that Christianity is a “(S)upremacist” religion, therefore any white Christian must be a “white (S)upremacist”. There are two problems with this claim. First, (as always) Thordaddy’s unique terminology is vaguely and confusingly defined. Second, there is no scriptural basis for this assertion. Thordaddy uses two definitions for white supremacy: (1) the mundane definition, and (2) the absolute definition. The mundane definition of white supremacy is the common definition that most people share. 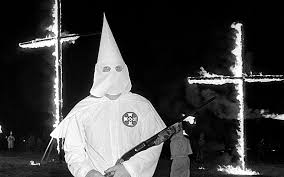 That is, “the belief, theory or doctrine that white people are superior to those of all other races, especially the black race, and therefore should dominate society.” By contrast, Thordaddy argues that he practices the “absolute” version of “white (S)upremacy” which he defines as a “white man who believes in and therefore strives towards perfection.” Thordaddy admits that these practices are not mutually exclusive. That is, a practitioner of absolute white (S)upremacy will often also be a practitioner of mundane white supremacy. Now, Thordaddy often argues that the “dull masses” abhor the practice of absolute white (S)upremacy because they cannot see past the mundane version of white supremacy. This, I believe is incorrect. First, I do not think anyone would object to a white person striving for perfection unrelated to the mundane definition. I certainly cannot think of an example of this happening. Second, if the mundane and the absolute practices are often “intertwined” (as Thordaddy has said) then this is very likely the reason why the “dull masses” cannot see past the concept of mundane white supremacy. Moreover, Thordaddy is unwilling or unable to provide a clear definition regarding what he means by “striving towards perfection.” When asked for a definition or example the best he could offer was his “spreading his righteousness” to people he encounters. I assume this means him communicating his racist message in his unique communication style which again seems to only reflect the mundane definition. In conclusion, if we are defining “supremacy” as trying to be the best you can be and a “white (S)upremacist” as someone trying to be the best they can be who also happens to be white, then I suppose Thordaddy could legitimately make the argument that Christianity is a “(S)upremacist religion”. However, if the mundane definition is employed, then there can be no doubt that Christianity is not a supremacist religion because there is no scriptural support to support this contention. In fact, quite the opposite, as we will discuss in the next section. In the past, when confronted with the argument that his concept of “white (S)upremacy” accords with Christian doctrine has no scriptural basis, Thordaddy has never once countered with a scriptural passage supporting his position. This suggests to me that he is not at all familiar with scripture. Further, I suspect his lack of familiarity with scripture is on some level intentional, because if he was familiar with scripture, he would then have to explain the discrepancies between his arguments and the scripture. There are many obvious discrepancies. The following are a few of the most glaring examples. In the past, Thordaddy has taken the novel position that the Second Greatest Commandment does not instruct a Christian to actually love his neighbor as a general proposition. Rather the commandment is to love his neighbor only to the extent that he loves himself. Accordingly, if a person does not love himself he is under no obligation to love his neighbor. He uses this as a license with the blessing of Christian dogma to hate his neighbor if he so chooses. I find this a novel interpretation of the commandment chiefly because, it has been my experience that (with the exception of Thordaddy alone) all Christians seem to agree that there is an underlying assumption embedded within the Second Greatest Commandment that a person would naturally love himself. Moreover, Thordaddy’s interpretation of the Greatest Commandment is logically inconsistent with his unique interpretation of the second great commandment. His interpretation of the Greatest Commandment is to give all love to God such that there is no love remaining for the self and less still for the neighbor. In other words he sees love as a zero sum game in which there is a finite amount of love to go around and if all of a person’s love goes to God there is none left for anyone else. I would argue that the plain meaning of the Greatest Commandment speaks to the intensity of love and not to the percentage of love available. Furthermore, Thordaddy’s interpretation of the Greatest Commandment eliminates the need for the Second Greatest Commandment. That is, it would not make sense for Christ to specifically emphasize the Second Greatest Commandment in the gospels if the Greatest Commandment effectively rendered it moot. His unique interpretation of the Second Greatest Commandment is made more peculiar still by the fact that he is obsessed with the concept of the (presumably sinful) act of self-annihilation which he seems to take delight in accusing other people of committing. I asked him point blank if he loved himself and he repeatedly dodged this question which surprised me. I would think a person who feels so strongly that the act of self annihilation is so morally wrong would naturally love himself. I assume, however, that he does not want to admit to loving himself because by his own logic he would then be compelled by the Second Greatest Commandment to also love his neighbor. In this light, his reluctance to admit to loving himself seems to prove that even he is dubious of his unique interpretation. Afterward [Jesus] appeared unto the eleven as they sat at meat, and upbraided them with their unbelief and hardness of heart, because they believed not them which had seen him after he was risen. I must say that I do not see these qualities in any of Thordaddy’s comments. This is one of many reasons (beyond his incoherence and his illogical arguments) I hold his contempt and judgment of his fellow Christians suspect. Accordingly, if he intends to hold himself out as a righteous Christian, perhaps he should reconsider the spirit behind his message. And if the spirit behind his message cannot be reconciled with his message perhaps he should reconsider his message. This post is an analysis of the statements made in the comment sections of my previous two blog posts Deconstructing A Radically Autonomous Box of Subjectivity Part I and Part II by the self identified white supremacist Christian who calls himself Thordaddy. For the record I self identify as a Roman Catholic Christian but not as a white supremacist. The particular comments I would like to analyze in this post are the ones he made pertaining to love with specific emphasis on the Greatest Commandment which is to “[l]ove the Lord your God with all your heart and with all your soul and with all your mind” and the Second Greatest Commandment, to “[l]ove thy neighbor as thy self.” (MT 22:36-40). Thordaddy has repeatedly taken the position that the Second Greatest Commandment does not instruct a Christian to actually love his neighbor as a general proposition but rather to love his neighbor only to the extent that he loves himself. Accordingly, if a person does not love himself he is under no obligation to love his neighbor. He uses this as a license with the blessing of Christian dogma to hate his neighbor if he so chooses. I find this to be a rather unique and novel interpretation of the commandment chiefly because, it has been my experience that with the exception of Thordaddy alone, all Christians seem to agree that there is an underlying assumption imbedded within the Second Greatest Commandment that a person would naturally love himself. The final piece to this puzzle involves progeny. He has repeatedly argued that the use of contraception is an act of self-annihilation because it prevents more of the self from coming into the world. I asked him why he would want to bring more of himself into the world if he did not love himself. To this question he made the surprising response, “because we love our children.” This would imply that he sees his children as distinct entities separate from himself. But if that were the case then how could he at the same time see children as “more of himself” brought into the world which are frustrated through the use of contraception and which is therefore labeled as self-annihilation? Thordaddy makes one seemingly legitimate point that the commandment to love thy neighbor involves a reciprocity between self and neighbor. Let us overlook for the moment this is logically inconsistent with his asserted right to hate his neighbor because he does not love himself. This concept of reciprocity seems right in that one should not be compelled to love another person who is actively hostile to him just because that neighbor lives near him. In fact this belief would require a certain love of self as someone who did not love himself would not logically be concerned with others who did not love him. In fact, if he truly believed himself to be unlovable on some level he would agree with his neighbor who held the same feeling in his heart. However, assuming (as most people logically would) that a person did love himself in some capacity he would also want neighbors who were not actively hostile towards himself. For this reason, although Thordaddy choses not to admit it I believe he does actually love himself. He perhaps loves himself to an unhealthy degree in that he cannot love other people who do not resemble himself which is the definition of the racism that his self described white supremacy refers to. Indeed it is a twisted web that Thordaddy has woven for himself. Put another way, Thordaddy has constructed a radically autonomous box of subjectivity in which he can sit and believe that what he subjectively feels to be true is in fact objectively true for everyone. The fact that no one else seems to believe (or has ever believed) what he believes particularly with respect to his interpretation of the Greatest and Second Greatest Commandments seems to confirm this. Continuing on my Lenten theme of spiritual exploration, I would like to discuss some ideas I had on the ego and the spirit. This is just me thinking on paper and not any conscious attempt on my part to instruct or to judge anyone else. I certainly do not profess to have all the answers, I just like to think and write about what is on my mind. Anything I write should be taken in that spirit. To being, it seems to me that the ego never sees above its own level. For example Jim might hate his neighbor Bill because Bill offended him in some way years ago. Bill, who was not aware he offended Jim all those years ago, has grown to hate Bill in return because he senses Bill’s hostility. In this example, both Jim and Bill are operating on the level of ego. They sense the hostility or threat from the other and have taken steps to protect themselves from this threat. But there is a bigger picture that the ego always fails to see. This is the bigger picture (I believe) that the Second Great Commandment “Love thy neighbor as thyself” (MK 12:31) addresses. But in order to see this bigger picture one must step out of their ordinary existence and look beyond material things such as race, political affiliation or petty grievances (for example). It also should not make a difference that the other side does not adhere to the same rules. These are the rules of the spirit after all which are per se above the rules of the ego. Of course, on the level of ego it very much makes a difference that the other side does not play by the same rules. The ego centered counter argument to the spiritual approach is to say that by following this logic Jim will leave himself venerable to Bill who does not follow this logic. To a certain extent this is true. When a person is physically attacked the ego takes over completely. The fight or flight response is very primitive, rooted in in materiality and self preservation. It is also very necessary, normal and appropriate for survival in emergency situations on the material plane of existence. However, most of life is not an emergency situation. In the modern American world, Bill and Jim have a choice during the majority of their days and weeks to listen to the paranoid call of the ego or to rise above it and listen to the call of the spirit. When people are constantly operating on the ego level of self defense their neighbors will sense this and react accordingly. As long as a person remains unaware of the ego and its motivations he will be governed by his ego. However, with awareness comes the ability to see the ego in action and the ability to chose to go along with the ego or to set aside the ego’s instructions. To dismiss the ego in this manner implies that the self is in control and making a fully conscious decision. It is somewhat paradoxical that coming more into the self in this manner also means to act more in accordance with the will of God (at least in the context of the Christian world view). I say this because to act in accordance with the Second Great Commandment one must dismiss his ego and make a conscious decision even if the neighbor has not dismissed his ego. Logically there is no other way. It seems to me that to argue otherwise is to attempt to make the self autonomous from God which is ultimately an act of self-annihilation. This is another paradox of the ego in that the ego acts motivated by self preservation but the end result of ego based action is always an act of degradation and ultimately to the detriment of the self. It should not surprise me that my neighbor reads Charles Dickens’ “A Christmas Carol” and takes the position that Scrooge was better off before his conversion. He feels the problem in the story truly lies with Scrooge’s liberal neighbors who judge him negatively for his conservative values. My neighbor feels that they are hypocritically disobeying the Second Commandment to love thy neighbor when they judge Scrooge in this manner. I cannot entirely dismiss my neighbor’s point of view. Often times “judgment” does not come from a place of love and compassion. Frequently judgment of others results from the ego trying to mitigate the pain of its own shame. In this sense judgment is the ego telling itself, “Look! I am better than him.” Accordingly, to the extent Scrooge’s liberal neighbors did judge him in this way they certainly were not acting in accordance with the Second Commandment. However, not all of Scrooge’s neighbors judged him in this manner. Certainly, Scrooge’s nephew did not judge him this way. 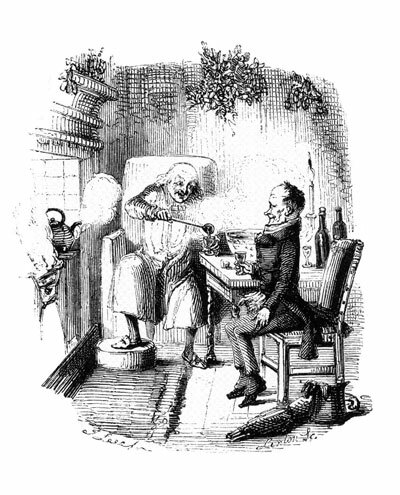 Fred made a special point of inviting Scrooge to dinner despite his uncle’s abusive behavior. Fred did judge Scrooge in the sense that he made clear that he disagreed with Scrooge’s perspective on Christmas. But in my reading of the story this judgment came from a place of compassion. Fred truly wanted to connect with his uncle and not to put himself above uncle for the purpose of gratifying his ego. Now, if I know my neighbor (and I think I have had enough experience with him to know him well enough although he does possess the ability to surprise me often enough) I can anticipate how he would react to that description. I suspect he would say that this is Dickens’ description and Dickens is the same type of judgmental, hypocritical liberal as are Scrooge’s neighbors. Assuming this actually reflects my neighbor’s potential reaction, it is interesting how he can project such a consistently schizophrenic view of the world into every situation. To him, even the author of a story (the creator of a universe in a sense) is unaware of his own warped, destructive and self-annihilating view of the world. It is as if there is a real story about Scrooge that exists elsewhere and Dickens’ version is a contrived piece of propaganda serving some nefarious purpose. If I am correct, my neighbor sees the story “A Christmas Carol” itself as a humbug in the fullest sense of the word. I would argue, however, that the story is not written from an egocentric, judgmental perspective but from a compassionate one. True, in the opening scenes we see him acting abusively towards his clerk, his nephew, the two solicitors and the young caroler. When the first of the three spirits displays scenes from his past we see that he seemingly valued money more than the love of his fiancé. All these exhibits display the negative aspects of Scrooge’s value system. But then we also see the reasons why this behavior came about. We hear of Scrooge’s neglectful upbringing by an abusive father who blamed him for Scrooge’s mother’s death. We also see glimpses of Scrooge’s good nature; his gratitude for Fessiwig’s kindness and his compassion for Tiny Tim. We see his remorse for pushing away his fiancé and his fear of dying an unredeemed man. All these examples are to show that Dickens wrote this story from a place of compassion for Scrooge. As readers we pick up on this energy and root for Scrooge despite his negative behavior. Therefore, I cannot agree with my neighbor’s assessment that Scrooge was better off as a bitter, lonely, old man. Nor can I agree with my neighbor that all of Scrooge’s neighbors were hypocritical, judgmental liberals who hated Scrooge for his conservative values. Nor can I agree with my neighbor’s shame-based, egocentric judgment of the “liberals” he seems to despise. His judgment does not come from a place of compassion and in my assessment is in violation of the Second Commandment. I now must examine my conscience to determine where my judgment of my neighbor comes from.